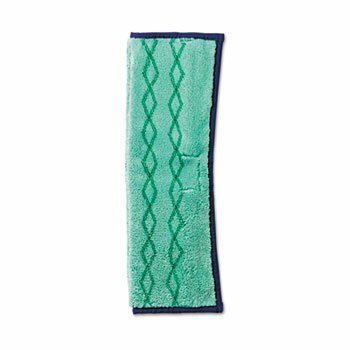 Rubbermaid Commercial 1791679 HYGEN Microfiber Clean Water System Double-Sided Microfiber Mop Pad. Double-sided microfiber mop combines the best features of microfiber mops and string mops. Different textiles accomplish different cleaning tasks. Proven to remove 99.9% of microorganisms. Variety of uses: airports, parks, auditoriums, janitor closets, walkways, food courts, bar/restaurant, deli/bakery, service counters, etc. Bleach-safe and durable up to 1000 launderings. 17.5 inches long by 12 inches wide by 0.5 inches high. 0.441 pounds. Imported.